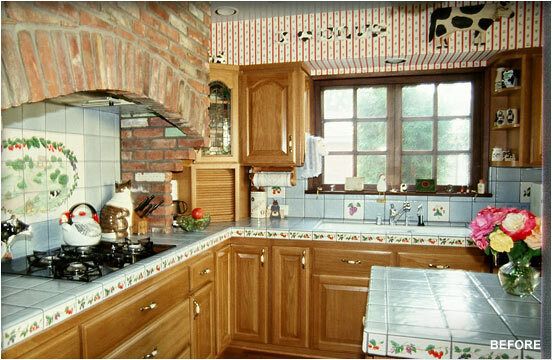 Smaller Project 5-2, Kitchen Remodel » Roger Perron Inc. This kitchen remodel has hand-painted tiles and a brick hood. A steel frame supports the brick. Design plan by Roger Perron, design-build contractor.